In the early part of the 20th century, long before family values became a slogan there was the Harley-Davidson sidecar motorcycle. A unique classic for hauling around the family or being able to transport cargo. 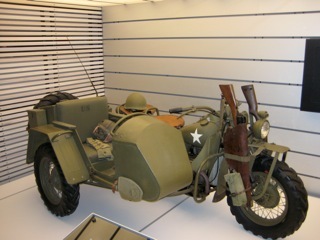 Harley has been offering sidecars since 1914. The company announced last week it will end motorcycle sidecar production upon completion of remaining 2011 model year orders. Effective immediately, no new sidecar orders will be taken. They will continued to support the sidecar through its dealer network and customer support for sidecar owners and will support current customers by continuing to honor warranty repairs and supply service parts and technical support. As a result of the decline in retail demand for Harley-Davidson sidecars, which accelerated following the introduction of the Harley-Davidson Tri-Glide family of trikes, Harley-Davidson has made the decision to exit the sidecar business. 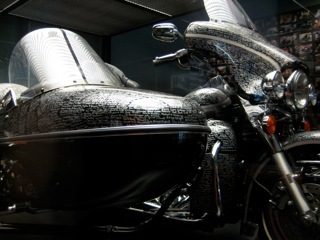 The Company will end sidecar production upon completion of remaining 2011 model year orders. Effective immediately, no new sidecar orders will be taken. Harley-Davidson is committed to continued support of its dealer network and customer support for sidecar owners and will support current customers by continuing to honor warranty repairs and supply service parts and technical support. The sidecar was first made available to Harley-Davidson customers in 1914 and will remain a proud part of the Company’s history. The folks at Ural and Royal Enfield are ready to serve your affection for offbeat sidecar motorcycles.